Strawhat » Paradise » Other Isles » Sandy Island » Alabasta » Voyage: The Sand People! Two nights had passed since Gege was executed in front of Sy’s eyes for breaking into a noble’s house. Gege had raised the young troublemaker Sy since he had run away from home at the age of twelve She took him, taught him, feed him, and in her own way cared for and loved him. Watching her death struck a cord deep within Sy. Forcing him into a stage of his life. He needed to leave behind the home he had known to discover himself, and what he desired from life. With this knowledge at the forefront of his mind, he decided it was best to leave the city. He would roam the deserts of Alabasta until he discovered purpose. On the third morning after Gege’s death Sy would leave the city of Alubarna which was his home. Setting out with nothing more than a small pack of food, water, and the clothes on his back. He walked into the dry heated desert. The first few days worked out well for him, his rationing was done well, and he hadn’t suffered any affects from dehydration or starvation. Come day five worry became the thought at the forefront of Sy’s mind. He had thought that by this time he would have found a small village or oasis something, but as of yet he had seen not one person much less a village. As the days grew longer and crazier Sy wandered around aimlessly. His mind unstable and his sense of direction entirely gone. The need for fluid was dire, but the two cactuses that he had drank from only ended up making him crazier. Hallucinations bogged his every sense. Twice he had regained clarity to find himself eating sand. Now lost in the middle of desert in some locations he has never been Sy resigned himself to the death that was to come. A slow grueling painful death of dehydration and starvation. Nearing now two weeks lost in the desert Sy had gotten lucky and found a small pond of water around day ten, but here he was on day thirteen barely able to move. Dehydration at its max, he lay on the sandy ground slowly dying. His entire body felt dry and moving was extremely painful. All Sy could do was hope. Hope someone found him and hope they were willing to save him. His last thought was of Gege and how she had died. He hadn’t had the chance to thank her for what she did for him. Then the bright sun faded to darkness as he passed out laying there on the sand. Sy opened his eyes to find himself under a cloth tarp, but not one that you would put over a dead body. No, this was a tarp that was used to create a tent like structure over him. He could hear voices around him and the area smelled of something delicious. Where did he end up, and how did he get? Sy tried to move but realized he couldn’t. 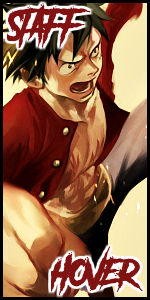 Not because he was strapped or anything, but simply because his body had not regained the strength yet to even stand. So, he lay there in some unknown place filled with fear. A young man walked in and noticed that Sy was awake. He smiled at Sy and walked over to him. The young man looked over Sy’s body and inspected each limb to make sure it could work. Then he looked into Sy’s eyes while flashing a light around them to make sure they were tracking. All in all, Sy’s body was perfectly fine. There was nothing physically wrong with him. He must just need more rest the young man concluded. “Welcome to the Sukkan Alsahra tribe.” The young man stood over Sy with a giant smile on his face as he placed a bowl of soup down on the counter near where Sy was laying. “You’ve been asleep now for about two days give or take, well two days from the day we found you. You were very sick, and our elder doctor worked hard to save your life, but now your finally awake. Hehe.” The young man was stoked that Sy had finally awakened. So much so that he ran out of the tent screaming that Sy was awake, before he even formally introduced himself. Shortly, after the young man left a very old man hobble into the tent. The older man repeated the exact same steps of the younger man, before he spoke to Sy. “Young man, you have no physical illnesses, but you are still recovering from your sickness and the drugs I gave you. You are going to fill weak for the next few days. Here let’s sit you up.” The elderly man and the young man worked to together to help Sy sit up, before they placed the food in front of him. “Eat up. Young man, for tomorrow the rest of the tribe will want to meet you. Oh, where are my manners. I’m Elder Donco, and this is my apprentice Miyanno, but we just call him Miya. Hahaha.” The elderly man laughed as the young man turned red and started yelling at him. The two men left after they had helped Sy and introduced themselves. The rest of the night was uneventful for Sy. He ate his dinner and then went back to sleep. The next morning however he was feeling much better, and much of strength had returned. Which turned out to be a good thing, because every clansman decided they would come in and introduce themselves today. In total Sy counted around forty-four total clansmen, including children. Sy had now fully recovered from the sickness that over took him while wandering the desert. His strength was finally back and at full. Now it was time to repay those who saved his life, and maybe living amongst these desert tribesmen he could find what he was seeking. The Elder Donco took Sy in and let him live with him in his tent, which was also shared by The Elder’s apprentice Miya. The two treat Sy as family over the past two days and show him every courtesy they could. So far, the Sukkan Alsahra Tribe seemed rather peaceful and caring to Sy. This would be the first day that Sy could leave the tent in which he had been staying. Though he could stand and walk the past two days he was not allowed to leave the tent just in case something happened to him. Elder Donco and Miya wanted to keep a close eye on him and make sure they could assist him to the max of their abilities if something happened. Now that Sy had gone a couple of days without any incident they were permitting him to leave. Well encouraging heavily more than permitting. In fact, Miya offered to show Sy the tent city of Sulthen. Miya explained how the system for the Sukkan Alsahra Tribesmen worked. Rayiys was the title held by the head or chief of the tribe. They had the final decision in every matter. Rayiys were selected by the people and if no decision could be made it was done through relation. A step down from Rayiys was Elder. There were six Elders, and each Elder was a master in a certain field of study. During this era the Elders were ranked on their mastery. Dowser, Hunter, Doctor, Fighter, Chef, and Trader. These were the six Elders of this era and the rank in which they were regarded. The benefits to being an Elder are you get a say in all matters involving the tribe, but you also get to live on top of a dune. This is an advantage as often people are killed from creatures under the sand that don’t attack dunes. From there you can become an apprentice to one of the Elder’s but if the next Rayiys decided a different skill is worthier of the title Elder you will lose your place as one. So, becoming an apprentice is more about finding something you are good at or want to do. Miya became the Doctors apprentice after he saved the young man from a horrid scorpion venom. He realized it was his true calling to heal the people and repay Donco’s efforts to save his life. Donco was different from the other Elder’s as they all took many apprentices. Donco has only ever had two, and the first was killed in a trial to the death for the hand of the current Rayiys daughter. After Miya was done explaining the caste system of the Sukkan Alsahra, he led Sy to the exit of the tent. Sy would finally get to see the tent city in all its glory. Moving the flap of cloth that closed the tent Sy was expecting to see some spectacular sight, but he was sorely disappointed. While impressive it wasn’t anything special. There were seven dunes that formed a circle, each dune had a tent around it, and inside the circle was the fighting pit. It wasn’t very large, but the Sukkan Alsahra believed that everything should be solved through combat to the death or by the Rayiys. The current Rayiys loved to watch men fight, so this era the fighting pit was extremely bloody. The Sukkan Alsahra were a primitive tribe yet possessed many different skills that would put them far above most primitive tribes. Their society was formed, and people respected the Elders immensely for their knowledge. Each person had a purpose and had a chance to make their purpose the most important thing for the Tribe. Thus, gaining the title of Elder if the Rayiys deemed them worthy. Sy was impressed that such a group of people existed in the desert and no one had ever written a single book about them. Sy had read many books but nothing that spoke of a tribe of people living in a society in the desert. The Rayiys decided that for Sy to pay back the village for helping them he would spend one week with each elder and learn of their craft. Then he would pick one to spend the rest of this time with the Sukkan Alsahra with. The order he would go with them was the order they were listed in matters of importance. This meant Sy’s first Elder would be the Elder of Dowsing. It was Sy’s first day shadowing the Elder of dowsing. She was a frail small woman who didn’t saying anything at all for the day. She just wandered around aimlessly. Her number one apprentice mentioned she was coming on in years, and she had slowly degenerated to the state she is currently. She never used to be like this, but an Elder doesn’t lose their position until they appoint someone else or die. Since Rammuck had never appointed anyone she was still the Elder and thus Sy had to shadow her. The next day was better, Rammuck seemed to have some level of clarity and spoke to Sy. She introduced herself and explained that Dowsing was an ancient technique used to find underground water. A key to the survival of the Tribe. This was the reason that the Dowsing Elder was always the first and foremost important elder. The tribe could not live without water. She explained that one needs an immense amount of spiritual energy to make dowsing work, and that the water just comes to you. “You can feel the waters pull.” The words the old lady repeated over and over and over again. To the point that Sy was sure she had gone back to her less clear state of mind. The last five days were a rinse and repeat of the first two. Somedays she would be completely fine, and others she would be crazy, or just wander aimlessly without saying a word. Her star pupil didn’t say much to Sy after the first. As he was considered an opponent and someone who might try and take away her place. This did make it a struggle to get through the last five, but Sy did and he realized dowsing was not for him. I mean he didn’t even have a stick for the whole week. The second week Sy had much better luck with the Elder he was following than the first. His name was Fyunpa and he led the village hunters. While in most villages hunters are food gatherers. They hunt an animal kill it, and the tribe would do something with every part of its body. In the Sukkan Alsahra this is not at all the case. Hunters in the Sukkan Alsahra are responsible for hunting dangerous beast that would bring harm to the tribe. These beasts vary in size and distance, but at the end of the day the hunters are the protectors of the tribe. Well from creatures of the deserts at least. With that being said a lot of what the hunters kill is edible and is a great source of food, but mainly what they kill gets traded by the traders of the tribe with the local cities in exchange for food and goods. Hunters have even been known to take down beasts for local villages for a price. With the job description noted Sy ready himself for a crazy week, but instead he got stuck staying at the home camp and training. Not that this was a bad thing, but Sy wasn’t even getting combat training. No, Sy was getting training on how one would track a beast, and what kind of beasts there are out there. What they were capable of, and finally which could be taken on alone and which could not. Surprisingly enough everyday for the whole week Sy returned home exhausted. The amount of info crammed into his head was immense to say the least. The giant black scorpions poison doesn’t affect humans the same way it affects other animals, but the black scorpion with a red tipped stinger will kill you with its poison in one poke. The weird thing about that is one is the size of Sy’s hand and the others stinger is the size of Sy’s hand. Everyday there was always more to learn about the beasts of the desert. Sy already knew Elder Donco, he was the man who saved Sy’s life after all, and he owed him the most. The first day with Elder Donco was a welfare visit day. Donco went to every tent that had children and did full body exams on all the kids to make sure they were healthy, and no creepy crawlers had managed to sneak their way onto the children’s bodies. Most adults know to check, and some adults check their kids. Not everyone does check their kids though. In fact, two of the kids Donco saw today had desert ticks buried fully into their armpits. These little buggers won’t hurt you at first, but they slowly release a toxin in your body that cause it to rot. Within the week both of the boys would have been dead if not for Donco. To remove a fully burrowed desert tick one must cut open the lump of flesh it has burrowed under and then gently and carefully pull the insect out from the hole. Quite a painful and nasty procedure, but it was much better than the alternative. The first boy Donco worked on and told Sy to watch. The second boy was Sy job to remove the tick. Donco watched Sy preform the task and was impressed with how well Sy had picked it up. He did it almost perfectly, and without needing any further instruction from Donco. The next three days Donco sat in his tent and waited for people to come to him. Though he was sitting in his tent he wasn’t doing nothing. Most of his time was spent preparing antidotes for the various poisons of the animals that were used here. At other times he was treating those that had come to him for help, or simply just sterilizing tools. For a man in a primitive tribe, he ran his doctors tent as though it were an actual doctor’s office. On day four one of the hunters got bit by the Abbu snake. The Abbu snake is a human sized snake with a venom that burns through human flesh, if injected into the blood stream through a snake bite it will slowly burn away at every organ, and limp a person has. Sadly, there is no cure for Abbu venom, just a solution depending on where you got bit. This hunter was lucky and was bit on the lower arm. The solution then was to remove the arm. By the time the hunters got the man to Donco the venom had traveled into the upper arm. This mean the whole limb had to go. Donco instructed Miya to tourniquet the man’s arm at the shoulder. Sy was instructed to the man still. Here in the desert Donco didn’t have access to sedatives, because of this the rest of the hunting crew joined in and helped hold him down. Donco pulled a scalpel off the table and made an incision into the upper arm just below the shoulder. He cut the tissue deep enough to hit bone in a full circle around the arm. The next step was the bone saw. Donco pulled it out and slipped it between the flesh and went to town until he cut through the bone. The arm flopped on the ground, and Donco explained to Sy why you make an incision with a scalpel first over just sawing through his arm flesh and all. The next two days nothing eventful happened. Sy just helped make antidotes, and care for the man who was healing from his amputated arm. 4 Re: Voyage: The Sand People!